Ever attended a Non-Violent Communication (NVC) class? I think if people haven’t done some type of therapy, they may not get the format of the class, which was formatted like a therapy session, with a Check-In and Check-Out. I get the gist of Non-Violent Communication, but it can be something so complex, depending on the situation. Once you start to use it, you have only taken the first layer off of the onion. Each new understanding takes one very thin layer off of your “Ego Onion”. At each new layer, there are so many questions to ask about the process, about your reactions, how they affect the other person, and vice versa, and how that all affects empathy. Some of the things brought up really stuck with me. First and foremost, we need to start with an intention. Why are we practicing NVC? Everyone in the group shared their reasons, and I stated that for me it was to help my relationship with my daughter, to better communication overall in my life, and to transcend my inner child. Rather, I wanted to approach my inner child with empathy and compassion so that it would not rule my actions. Next, we Acknowledge the other person’s feelings/experience/wishes/etc, always keeping the focus on the other person and on their experience. Someone asked whether it’s acceptable to ask the other how he/she is feeling. The moderator replied that asking someone how he/she feels brings that person out of the body and heart and into the head. Upon reflection, I could definitely see that to be true. Next, we identify the cause of the feelings, which is based on needs. We can synthesize what people are saying and hear the underlying need, if we only take the time to truly listen. Last, we create a space to allow the other person’s inner process to evolve and unfold. What is amazing about this process, and really any conscious communication, is that we fluctuate between empathy for the other and empathy for self within seconds. In order to stay present with the other person, we have to be aware of our triggers, our thoughts and reactions that decrease our empathy. Then, we need to have compassion for our reactions and triggers, and try and move past them or through them so that we can continue to listen to the other and help support a safe space for him/her to express in. What seemed very textbook, based on my tiny exposure to NVC, I realize is very complex and I can imagine extremely rewarding the more it is practiced consciously. I am looking forward to the class next week! 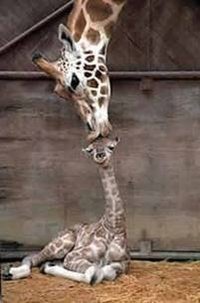 *To understand the giraffe, try out a NVC class, or you could read one of the many books as well. This entry was posted in Emotions, Health, Mind-Body Awareness, Parenting, Relationships, Spirituality and tagged anger management, conflict resolution, dysfunctional relationships, intimate relationships, mediation, non-violent communication, psychotherapy by AmyRxBaker. Bookmark the permalink.